It happens to me recenlty. I have found an old Proxmox VE machine where I didn’t log into it for months. 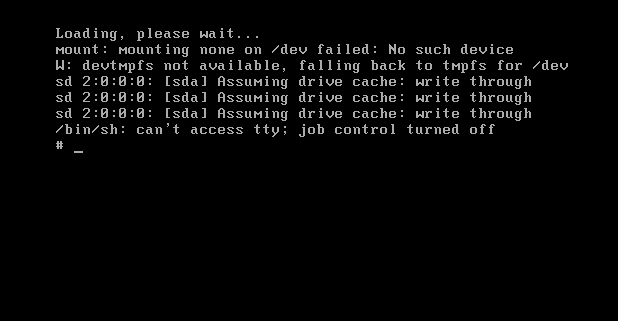 That was time to decommission this test machine but I wanted to check what was left on this Proxmox VE instance. Yes, I have to admit it. I completely forgot the password of the root account on this machine. You do not need to have any special tools or liveCD. In order to reset the password admin on the Proxmox VE machine, you will need to boot it and modify the boot loader so we will be booting in command prompt mode where you will be able to issue your reset password command. 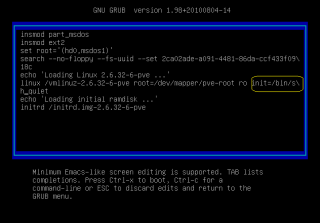 Step 1 – Boot your Proxmox VE machine. In the boot menu screen, you select your boot option and instead of pressing enter to proceed, you simply press “e” on your keyboard. 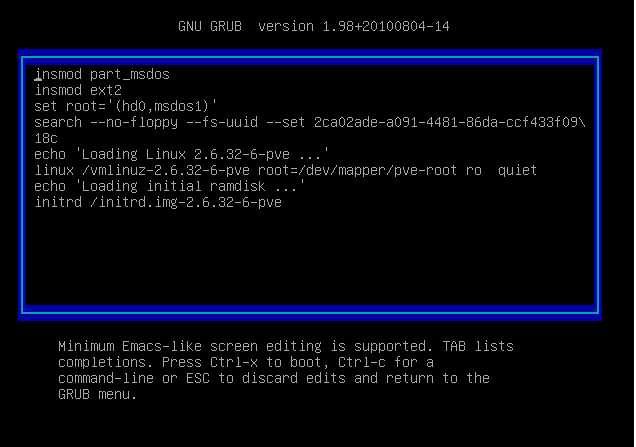 This will bring you to screen where you can edit the boot configuration file and modify the way the system will boot. At this stage, simply press ctrl+x to boot your system. The system will boot in console mode. You will see something like this. 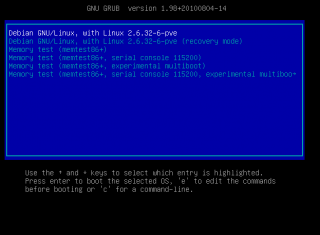 Step 4 – Reset the password for the root account. We are almost done. In order to reset the password, you will have to digit the command passwd. You will be asked to enter your new password and confirm it. When it’s done, simply reboot your system and try to login using the newly resetted password. 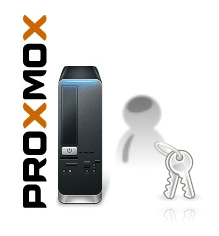 You should be able to login into your Proxmox VE system. tks. Keep informing the community about proxmox. There are not many web resources dealing with that specific tech. 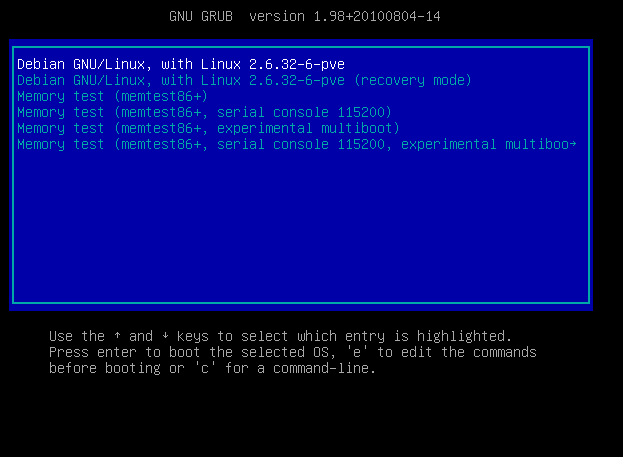 login via website, click the virtual machine, click console, boing, got root. and how to you login to the website when you have forgotten the password ? I’m trying to do it but exactly when i press “e” the screens turns black and ask for username and password. 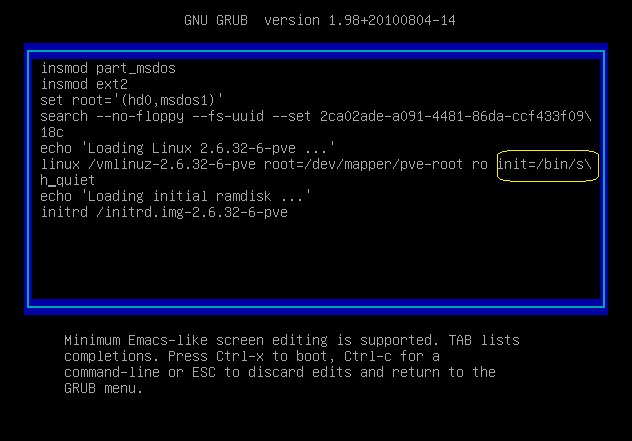 It seems to be needed to enter the screen for edit that configuration. I can’t access to my server and I don’t change the password. Should be working… I cannot reproduce your situation.. I need to find the password, but as this on a server so I can not restart.